[52 Weeks Challenge] Week 3 – A game that is underrated – I ❤ Old Games! I feel particulary comfortable in answering to this question and this for a single big reason. Nowadays we tend to celebrate a lot of smash hits of the past, the ones on which the retrogaming craze is based and 99% of them are console games. The PC games are seen a bit as unlucky brothers of the more famous games that graced the NES or the Master System on later 16-bit consoles and this even thought therer were some incredible titles during the 80s and the 90s. During my life I’ve been mainly a PC gamer and, having missed entirely the console world, I’ve missed as well some of the greatest games released: if you name a game for the SNES, the Mega Drive or from one of the 8-bit consoles the possibility that I’ve never played it until very recent years is very high. But even as a PC gamer I never had a big budget to buy games and I’ve always played games found in compilation of questionable legality (as you can read in my entries about the Twilight and the Dutch Flyer): in those compilation there were some good titles but mainly an ocean of mediocre-to-bad games and these were the game I’ve played the most. Sometimes they weren really bad games but games just underrated that lived in the shadow of the big hits of their genre. For this reason I have a very long list of games I consider underrated and since I cannot choose one or another a small list will follow with the games I consider underrated for the main genres I’ve played back then. 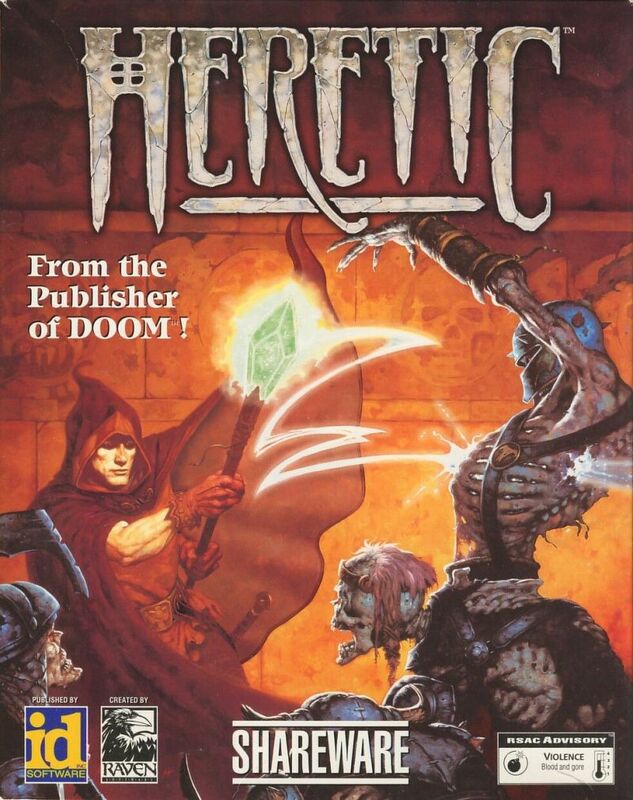 Probably most of people are more familiar with the sequel of Heretic, Hexen, released primarily for PC but also for other platfotm such as N64. It’s one of the FPSs I’ve played the most on my first PC, before giving almost all of my attention to Duke Nukem 3D. I’ve played Heretic alond with other FPSs that has always been praised by critics and people such as Doom II or Wolfenstein 3D. I love the way this game tries to combine the classic action of an FPS with a bit or RPG, a genre that at the time for me was completely new. Sometimes I find myself playing Heretic again and, even though I have never been able to complete it (mainly for lazyness) I think it’s a solid game. RTSs are not 100% my kind of games, even though I loved the likes of Syndicate, for example. 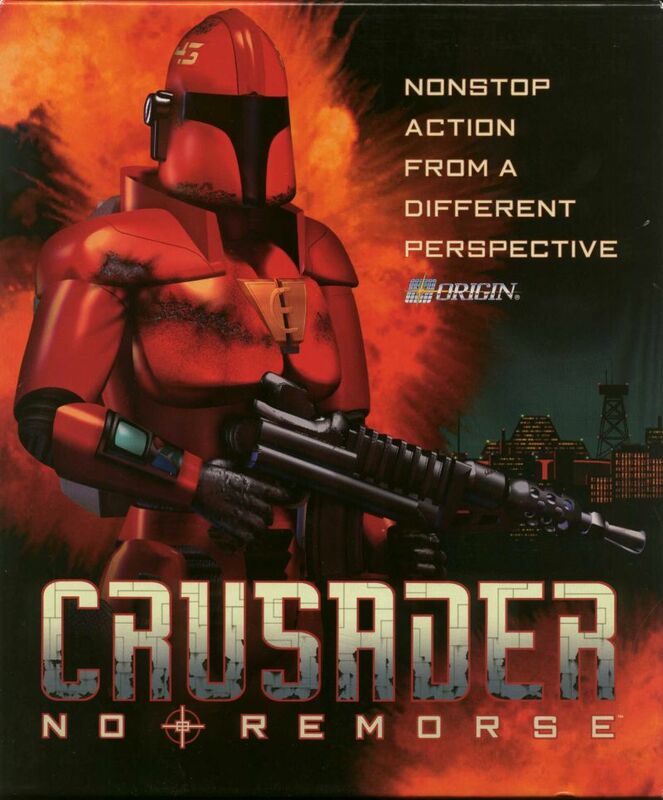 One game that I played a lot in the past and that is somehow forgotten is Crusader: No Remorse. It feature exceptional isometric visuals and great graphics and I think it should have had a bit of success,since it spawned a sequel, Crusader: No Regret in 1996. If you love RTS and you like isometric view I’m pretty confident you will enjoy it so you might give it a go. If you pick a graphic adventure from the late 80s/early 90s 9 times out of 10 is from either Lucas Arts or Sierra. and this because they focused their production of this genre almost always with amazing results (and even in my opinion they created one of the best games of all time). So my underrated graphic adventurec is not one of their titles but a game developed by Divide By Zero, Innocent Until Caught. Of course it doesn’t make use the “classic” SCUMM engine, safe in LucasArts vault of patents but it’s very intuitive and make the game easy to play. 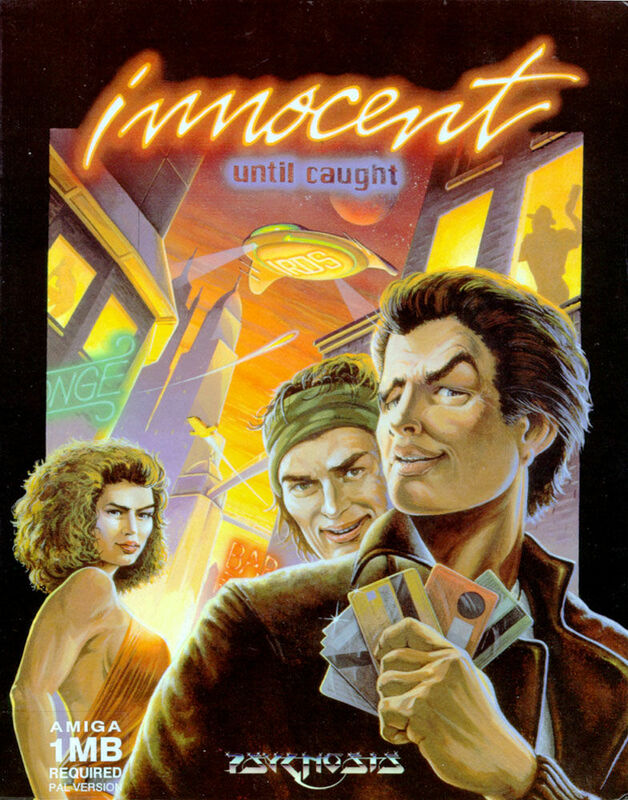 The game had a sequel, Guilty, in 1995 but I’ve always played the first game of this mini-series. Last but not least of course a platform game. The problem with Bubsy franchise is that it completely derailed when it switched to 3D: the release of Bubsy 3D is probably one of the lowest point in video game history and it completely killed a rather decent platformer. I played the PC version, called Super Bubsy and it was one of my three favourite games of the genre along with Jazz Jackrabbit and Superfrog. What you think is an underrate game? Please share your thoughts in the comments section! Some good ones, though I don’t know if Heretic was underrated. At least not Stateside. I’d probably go with Abadox on the NES. One of the few amazing shmups that somehow doesn’t cost hundreds of dollars. I nominate Goemon 2 on the Nintendo 64. I really enjoyed this game when it was released. It was a good platformer and used 2 player cooperative gameplay. The levels were interesting, with surreal designs, and I liked the way taking different paths in the levels led to different levels. The game also used challenges, which were enjoyable and some were quite humorous. The boss fights were also an interesting mix of platforming battles and fights with giant robots. The story was also bizarre. I have also found some Sonic games on the Game Gear were enjoyable. 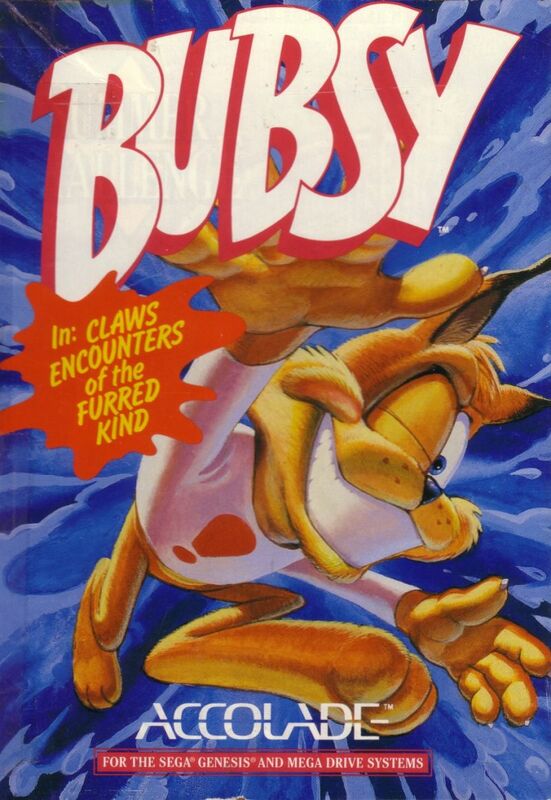 What was Bubsy? What was wrong with Bubsy 3D? Some of the games suggested in the article seem like strange mixes of genres. The Heretic game seems unusual for a shooter and Innocent Until Caught looks like a mix between a crime thriller and science fiction. What are these games like? The 1998 Activision game, Battlezone, comes to mind. Recently remastered by Big Boat Interactive for Rebellion Developments, it’s a first-person shooter/real-time strategy hybrid involving a clandestine war between the US and Soviets in space during the Cold War. Aside from the gameplay, which was distinctive and great fun, I also thought it was a nice touch to have a conspiracy theory about the moon landings which didn’t involve the US *not* landing on the moon. Zelda II: The Adventure of Link. It sounds weird to hear a Zelda title be considered underrated, but for me, it’s one of the best games on the NES and in my top 5 NES games. I’m so glad you mentioned Bubsy here. I used to play that game constantly growing up, and I absolutely love it. I get mad when people hate on it because of the flub that was Bubsy 3D. It’s a great platformer with all the cheese and good music you can ask for in a Genesis game! I would say an underrated game was Adventure Island II. I barely knew anyone that played that growing up, and though it might have gained a bit of momentum in some places since then, it doesn’t seem to come up too often unless people are also talking about Wonderboy. Hmmmm… Interesting picks in the post and comments both. I haven’t even played some of these! Mine would be Raze’s Hell and Sphinx and the Cursed Mummy. I had a blast with both when they were originally released and have been replaying Raze the past few weeks. Still fun! I think Sphinx was a bit too much like Zelda to really be taken seriously, but I do plan on replaying it someday soon! After revisiting Heretic: Shadow of the Serpent Riders just a month ago, never really played it in the first place, I was surprised. I couldn’t stop playing it all the way until the end. No jokes. It has this vibrant pixel graphics /speaking modern language/ that only stopped when I finished the game.